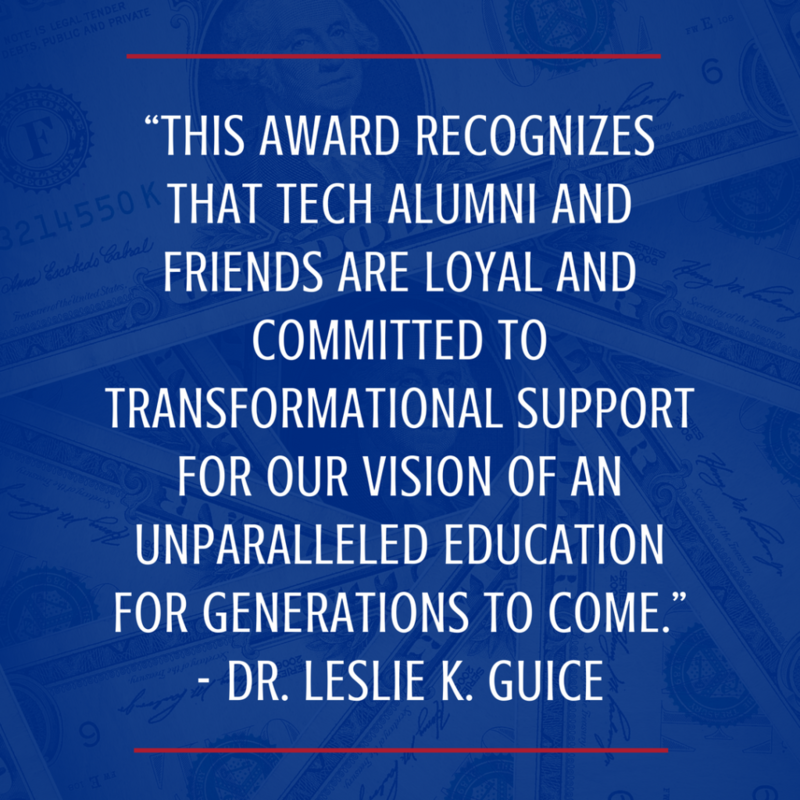 Louisiana Tech University was the only university in Louisiana recognized for its superior fundraising performance and improvement in the 2018 CASE Educational Fundraising Awards. Only 82 institutions nationwide – out of more than 500 evaluated – were so honored. Annually, the Council for Advancement and Support of Education (CASE) honors universities, colleges, and independent schools for their achievement as shown in their responses on the Voluntary Support of Education (VSE) survey. A CASE member institution is automatically eligible for the awards in overall performance and overall improvement provided it has participated in the VSE for the past three years. Institutions were judged on their pattern of growth in total support, evaluation of what contributed to the total support figure, overall breadth in program areas, pattern of growth in each program area, pattern of donor growth among alumni donors and other individual donors, the impact of the 12 largest gifts on total support, and total support in relation to the alumni base. In selecting Overall Fundraising Performance winners, judges use the above factors to recognize institutions that show solid program growth, breadth in the base of support and other indications of a mature, well-maintained program. In selecting Overall Fundraising Improvement winners, judges use the factors to find significant program growth across the three years of data. Institutions are evaluated within appropriate peer groups, using different size and type classifications.